Looking for a home in one of Hudsons pool/tennis communities? 7575 Woodspring Ln in desirable Hudson Park Estates might be it! 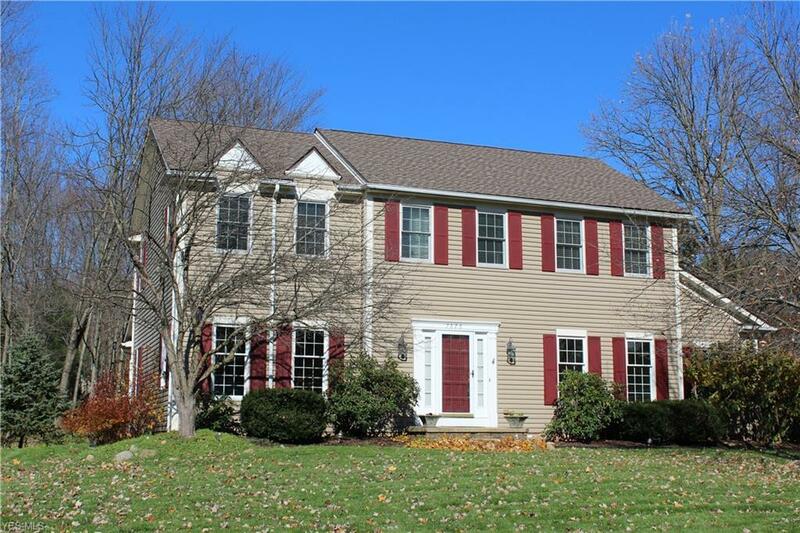 Classic 4 BR, 2.5 BA colonial awaits your arrival! Welcoming hardwood foyer, flanked by DR & LR. Detailed millwork in many rooms, including crown, extra-wide baseboard, chair rail, and picture frame moulding. LRs French door give access to spacious 1st-floor Office/Den, opening to screen porch- perfect spot for morning coffee and views of park-like setting. Dbl French doors in Office allow private workspace or transition to step-down FR. For cozy enjoyment, focal point of FR is a floor-to-ceiling, raised-hearth, gas FP, boasting palladium windows on each side to bring in natural light. FR flows to large deck, an ideal entertainment option for warm-weather gatherings! Hub of the home, its expansive Kitchen, is a winner w/granite, some SS, plenty of cabinetry, center island/breakfast bar, and over-sized bayed dinette. Ample Laundry Room offers drop-zone closet and convenient side entrance. Above-garage Bonus Room is fantastic for recreation, gaming, playroom, craftsyou name it! Spacious Master BR has walk-in closet and en-suite w/ceramic floor, tiled shower, granite dual vanity. Three addl nice-sized BRs, two w/ceiling fans, share main hall bath. Partially-finished LL- terrific hangout and abundant storage. Private, perennial-landscaped backyard w/fire pit- for relaxing, family fun, or entertaining a crowd! Schedule nowand start calling this HOME!